The QSE-CI-WCI (WCI) is a control interface for use with HomeWorks® QS systems, Quantum® systems, and QS standalone applications. The WCI integrates a contact closure keypad with a Lutron® lighting control system. The contact closure keypad must be provided by the customer. The WCI provides up to eight contact closure inputs (CCIs). The CCIs accept maintained or momentary signals. The CCIs are programmable through the HomeWorks® QS and Quantum® system setup software. For QS standalone applications, the CCIs are programmable using the button, DIP switch, and LEDs on the WCI. • Provides 8 contact closure inputs (CCIs), maintained or momentary. • Works with SELV/PELV/NEC® Class 2, low-voltage, dry contact closures. • The CCI can be set up to simulate existing Lutron® keypad functionality or custom-configured to meet project-specific requirements. • Place in the wallbox behind a contact closure keypad (See Mounting). • Provides a 1-way interface between the Lutron® lighting system and a contact closure keypad (not supplied). • For use in HomeWorks® QS systems, Quantum® systems, and QS standalone applications. • In HomeWorks® QS and Quantum® systems, the 8 CCIs are individually programmable through the appropriate setup software. • For QS standalone applications, the DIP switch allows for selection of CCI control options: - With or without raise/lower controls. - With all momentary or all maintained CCIs. - Verification of which contacts are closed. - Indication of communication miswire/malfunction. • Programming button allows for ease of programming and resetting to factory default. - Toggle Zones between a Preset and Off. - Cannot be used as a partion controller. - Toggle assigned windows treatments between Open and Close. - Supports venetian window treatments. - Supports 6 default presets (4 presets when applying Raise/Lower). • Low Voltage SELV/PELV/NEC® Class 2 wiring provides power, derived from QS link. Consumes one Power Draw Unit (PDU). 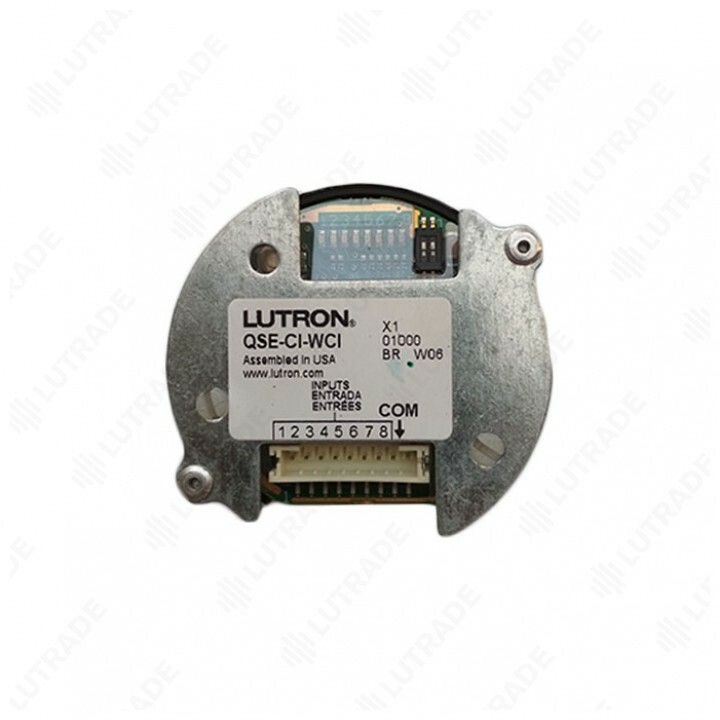 • The QSE-CI-WCI (WCI) is compatible with both momentary and maintained contact closure inputs (CCIs). • Contact closure keypad must have a low voltage, dry contact closure rating. • CCIs must have an on-state saturation voltage less than 1 V at 1 mA and an off-state leakage current of less than 100 uA. Contact manufacturer of the contact closure keypad for details. • The signal pulse for the CCI must be greater than 40 ms. Contact manufacturer of the contact closure keypad for details. • The WCI is not designed or rated to work with line/ mains voltage switches. Use with line/mains voltage switches will result in premature failure. • Each terminal accepts up to two 1.0 mm2 (18 AWG) wires, one twisted shielded pair 0.5 mm2 (22 AWG) wire or one 4.0 mm2 (12 AWG) wire typical. • Recommended to be placed in the wallbox behind a contact closure keypad. 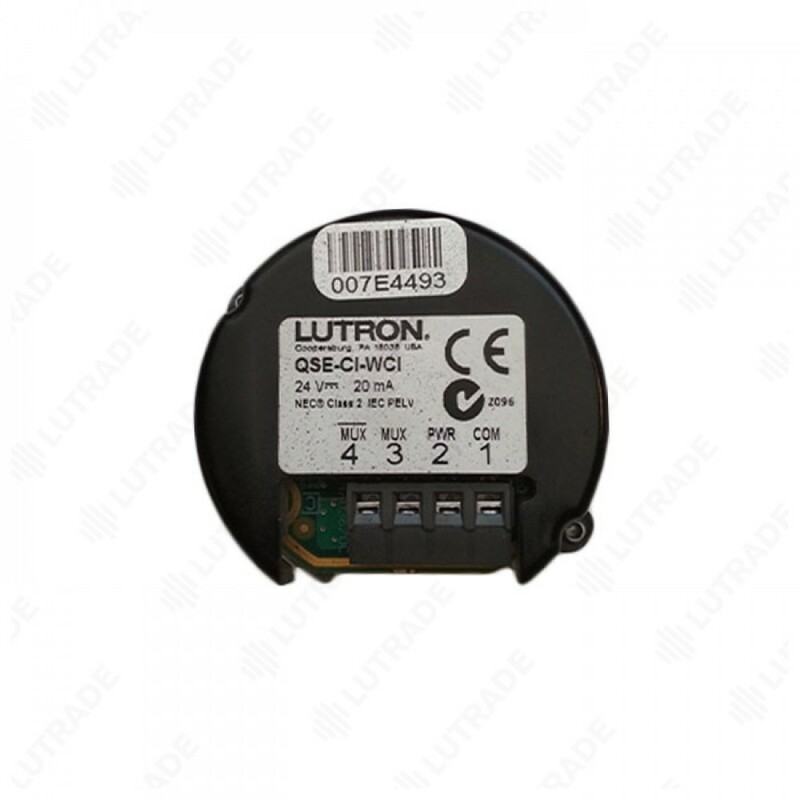 • Lutron recommends using a wallbox which is 60 mm (2 1 ?2 in) deep x 60 mm (2 1 ?2 in) wide, when installing the WCI. Note: Some applications may require a deeper wallbox. • If alternative mounting is required, do not extend wiring harness more than 45 m (150 ft). • Please refer to the system spec for details regarding your application.